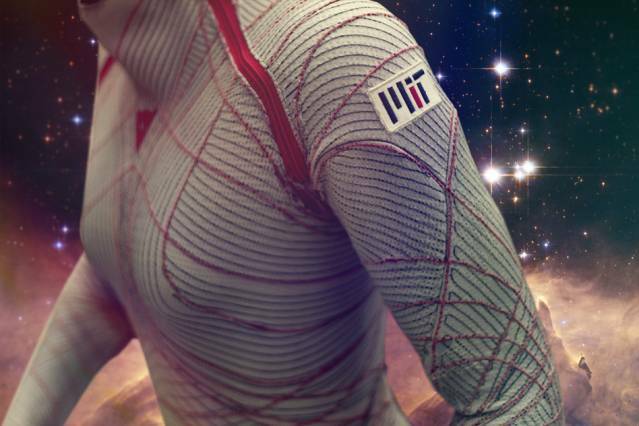 MIT Developing Skin-Tight Spacesuits #WearableWednesday « Adafruit Industries – Makers, hackers, artists, designers and engineers! For future astronauts, the process of suiting up may go something like this: Instead of climbing into a conventional, bulky, gas-pressurized suit, an astronaut may don a lightweight, stretchy garment, lined with tiny, musclelike coils. She would then plug in to a spacecraft’s power supply, triggering the coils to contract and essentially shrink-wrap the garment around her body.